Jakarta, 4 June 2018 – The European Union Support to Higher Education in ASEAN Region, or SHARE, is funded by the European Union in cooperation with the ASEAN Secretariat. The programme has the broad remit to strengthen regional cooperation, enhance the quality, competitiveness and internationalisation of ASEAN higher education institutions and students, contributing to the ASEAN Community beyond 2015. 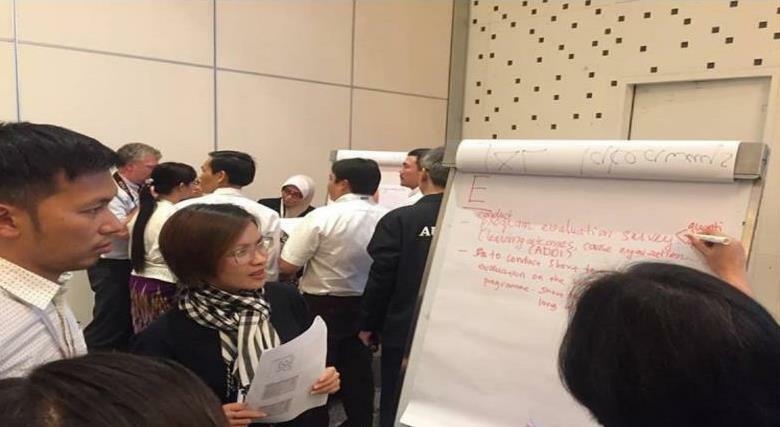 SHARE focuses on three result areas, among them Qualifications Frameworks (QFs) and Quality Assurance (QA) which the project aims at supporting the ASEAN Qualifications Reference Framework (AQRF) and the ASEAN Quality Assurance Framework (AQAF) and the work of the AQRF Committee and AQAN with a focus on higher education. The Head of Cooperation and First Counsellor European Union Delegation to Indonesia and Brunei Darussalam, H.E. Hans Farnhammer and the President of the ASEAN Quality Assurance Network (AQAN), H.E. Prof. T Basaruddin, opened the SHARE “Peer Multiplier Training” (PMT)” for higher education managers in the field of Teaching and Learning and External Quality Assurance. 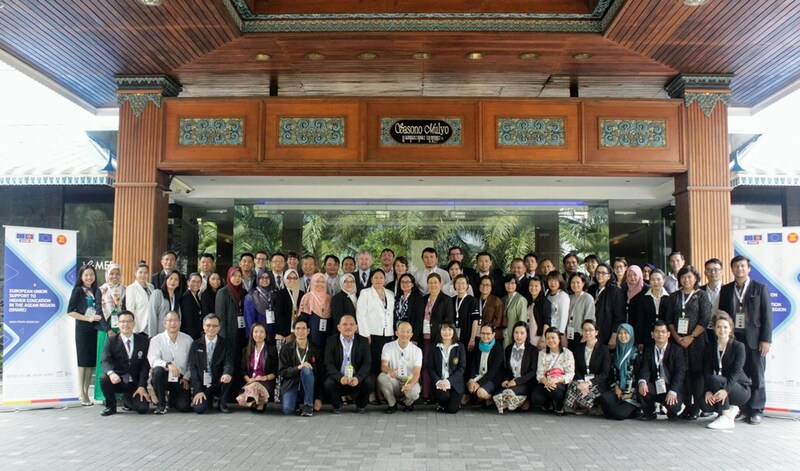 SHARE invited 56 selected participants from ASEAN Member States to attend a Train-the-Trainer seminar to be held from4 to 7 June 2018 in Jakarta, Indonesia. Corresponding to the principle of peer-to-peer multiplication the aim of the seminar is to empower ASEAN participants to act as trainers and facilitators, enabling them to conduct their individual multiplication projects in the field of teaching and learning or external quality assurance, for the sake of higher education development in the ASEAN region. Upon completion of their instruction, the peer multipliers will be entrusted with sharing and disseminating core values and methodologies of SHARE amongst their ASEAN peers. They will thereby become strategically placed trainers with the tools and capacities to ensure the long-term sustainability and continuity of the promoted ideas and knowledge about qualifications frameworks and quality assurance.